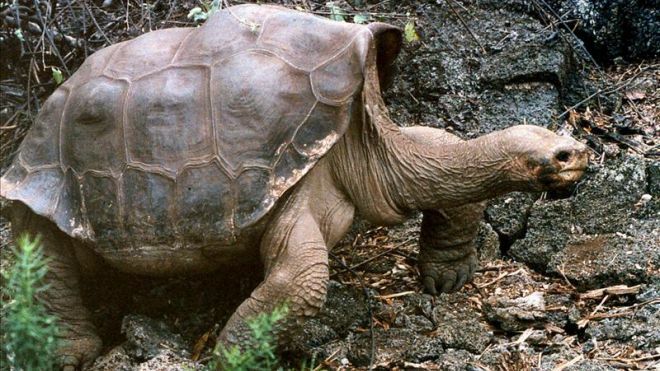 Your revelation might be your first glimpse of a giant tortoise slowly lumbering toward you. In that instant, you may feel a part of the primitive past that created these islands and the remarkable creatures on them. Or maybe watching blue boobies mating, dancing and taking care of their chicks could make your heart joyful. One guest I know becomes breathless recalling being alone on the deck of the ship at 4:00 a.m. and looking up to see stars and constellations as she’d never experienced them before. Unexpectedly being unable to sleep turned into one of the most memorable parts of her entire journey. These are the moments that define the special and extraordinary nature of the Galapagos Islands and why I think of them as Paradise. You might call it a "mantra"of mine, but I always remind my guests both at the hotel and on my cruises to "expect the unexpected." Partly, it's so they don't get frustrated when a plane is late or the boat is delayed because an engine part is needed and we have to stay in the harbor for a while. It's also because we can't promise that we'll see the short-eared owl on Genovesa, a sea horse while snorkeling or a bevy of turtles hatching in their nest. It goes without saying that these are wild animals and while we always hope we capture them in the right mood and place for a visit, we certainly cannot guarantee it. I'd love to show everyone a whale breaching and a school of dolphins. But, marine life has a way of moving around the Pacific Ocean - you get the picture. I certainly understand that “expecting the unexpected” might be a little frustrating. And, at home, a late boat or plane is not such a good thing. But on vacation, we simply go with the flow. You might miss the Interpretation Center, but find yourself on Frigatebird Hill in San Cristobal exploring plant and animal life you’ve never seen before. 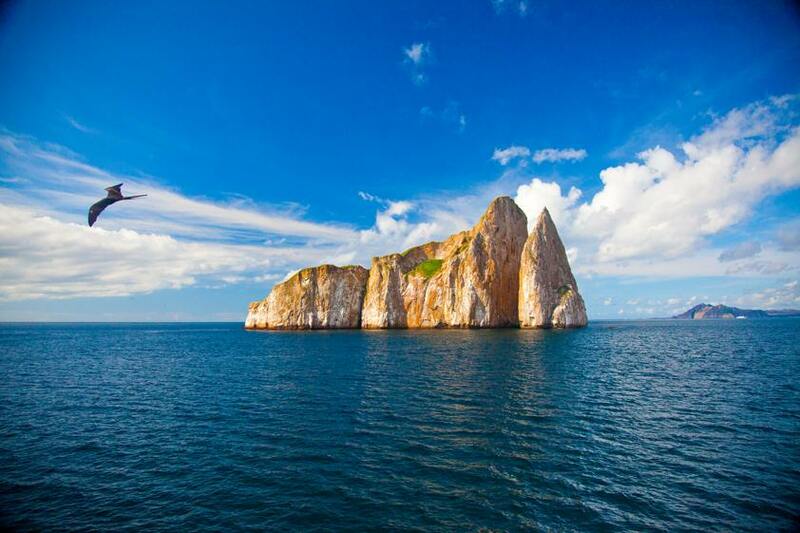 In the Galapagos Islands, we turn the late plane into an adventure. Most of the time, the unexpected comes in the form of a wondrous surprise. Here’s what to expect when you expect the unexpected. 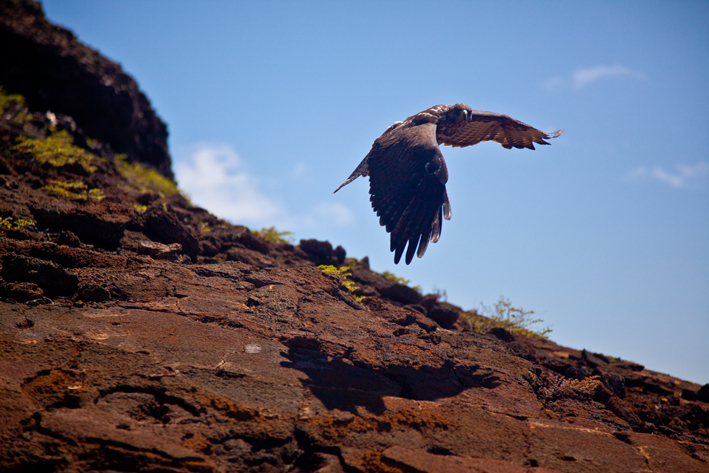 Be prepared to be awed as you observe a hawk soaring and circling freely and lithely through the blue sky on Bartolome Island. 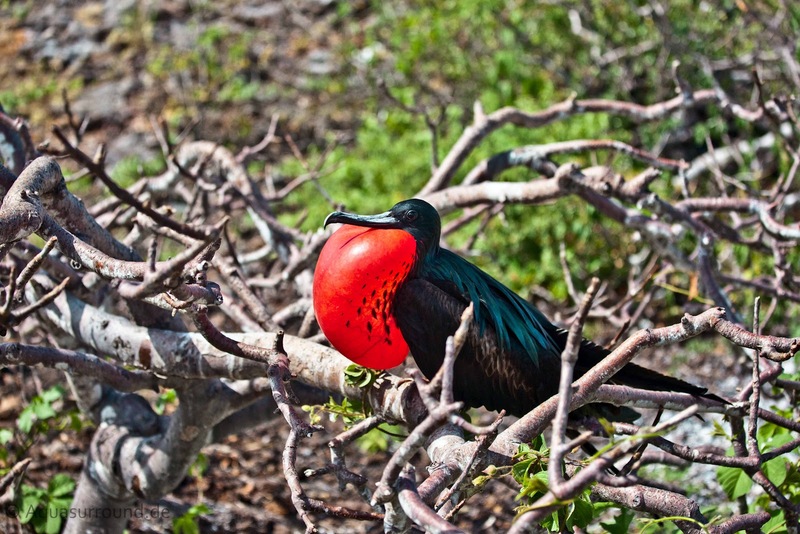 See the male frigate bird blow up his red throat as he tries to get the girl! Visit albatross families on Espanola Island, the only breeding ground in the world for the Waved Albatross. Watch the fascinating mating ritual by these large marine birds who mate for life. Or see their babies hatch and make their first tentative efforts at flying. 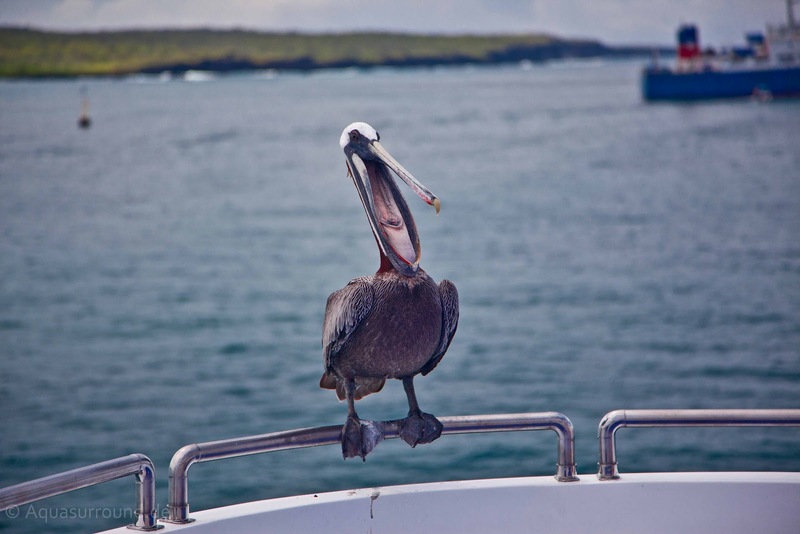 Be awed as a pelican lands on the rail of your cruise boat. 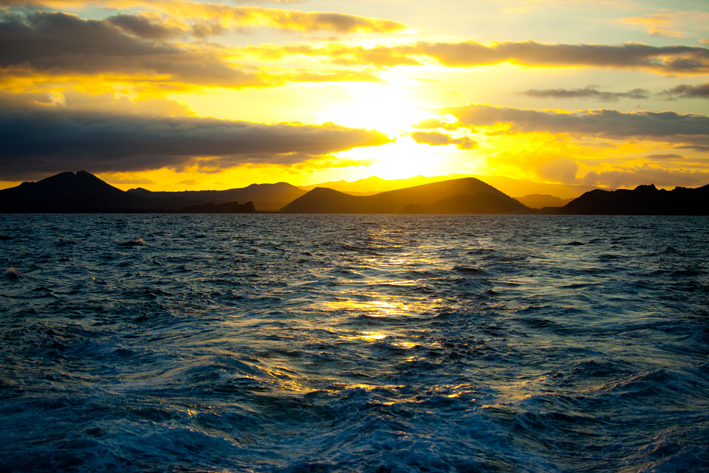 Watch the most glorious sunsets of your life. Visualize the most beautiful sunrise or sunset you’ve ever seen and magnify it a thousand fold as your boat anchors near Kicker Rock or near Espanola for the night. 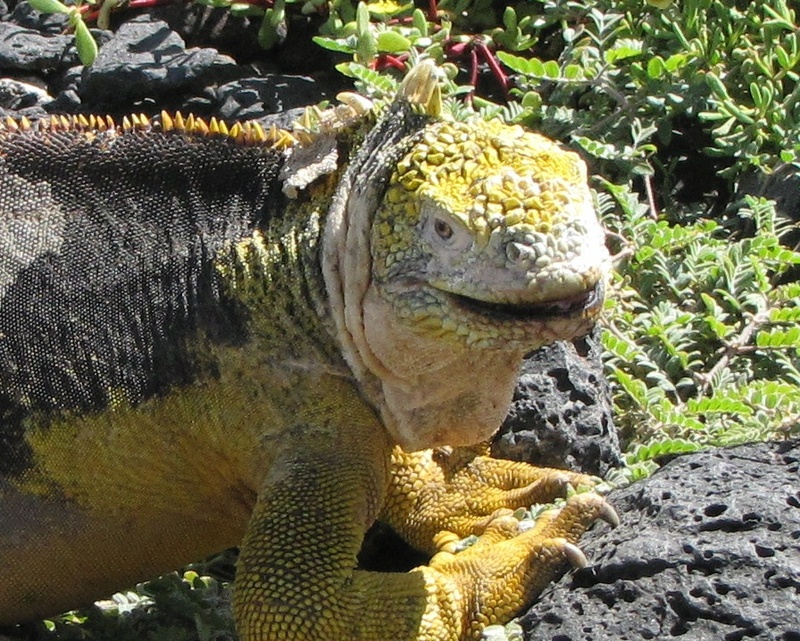 Anticipate wondrous surprises like the tiny lava lizard making himself comfortable on the head of an iguana. 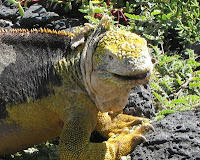 Envision primitive animal life in the form of Galapagos tortoises, lizards and iguanas of all shapes and sizes, as they lie on top of each other soaking up the sun with no apparent cares in the universe. 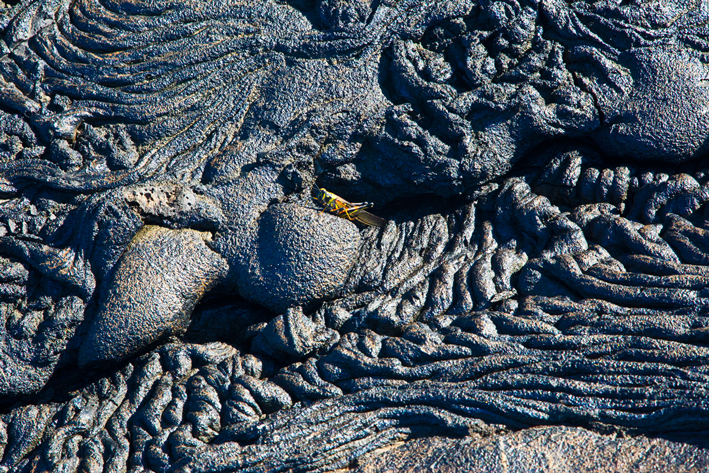 Imagine the dark black lava that spewed forth from the earth centuries ago and now appears like a work of modern art on which we walk. Look forward to swimming and snorkeling with the sea lions; pop your head out of the water only to find a sea lion pup staring right back at you beckoning you to join him in play. 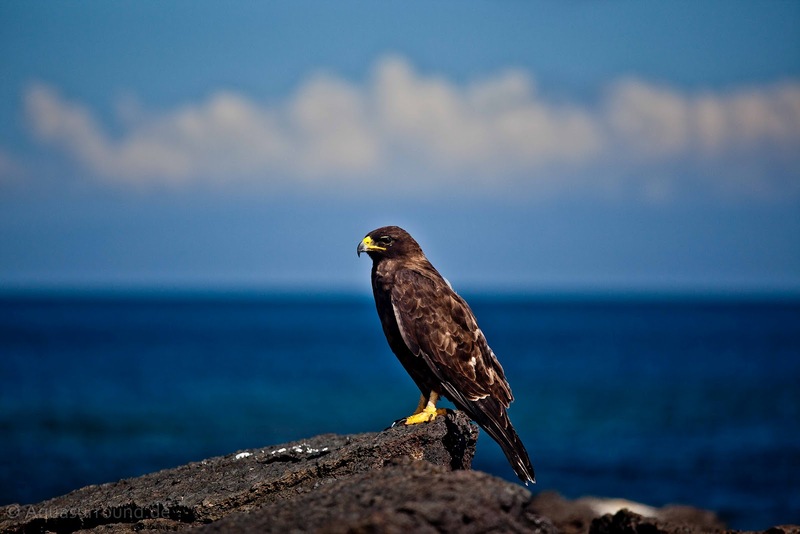 So, how do I answer the question, “What should you expect on your trip to the Galapagos Islands?” I say, “Expect to be awed and to envision nature as you’ve never seen it before.” Always expect the unexpected!